Bird in the Bush - A blog about life in Shepherd's Bush: What's in a name? I enjoy finding references to Shepherd's Bush outside of Shepherd's Bush. This morning's came as I trudged through the City of London on my way to work, walking and reading this morning's City A.M. (freebie business newspaper). And yes I do mean walking AND reading. It's taken me years to master this City skill and though it's not without it's hazards I do consider myself an expert now. 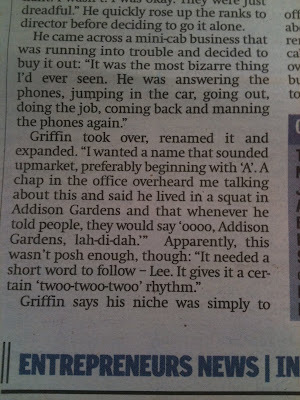 Anyway I was reading about John Griffin, the man who set up Addison Lee over 30 years ago when he bought a foundling mini cab company. Addison Lee now turn over £200m a year and their cabs and vans are now as common a sight around London town as European school trip parties and traffic jams. And here comes the Shepherd's Bush reference. 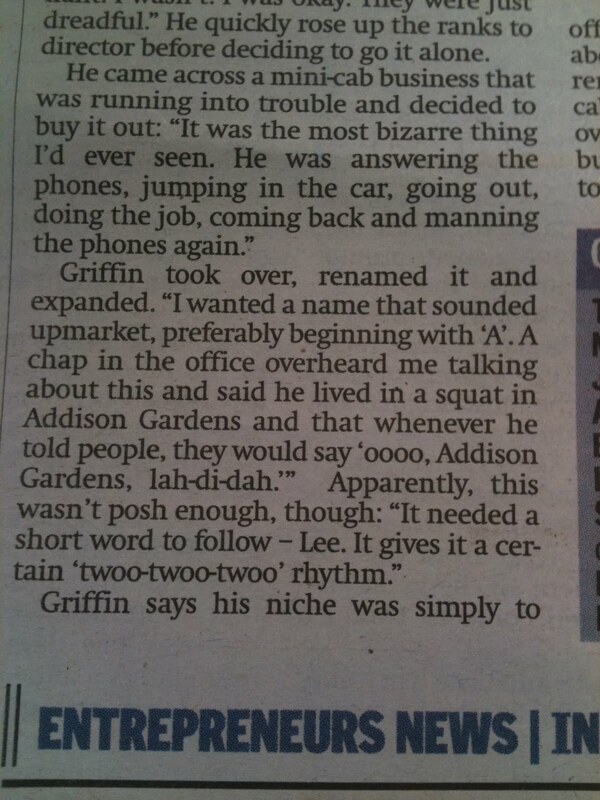 Did you know that he chose the Addison in Addison Lee because of Addison Gardens? Hello, long time listener, first time caller as they used to say on the radio. 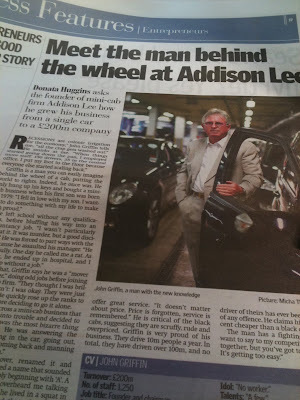 I recently asked one of their drivers about the origins of Addison Lee and how they became London's biggest minicab firm. He just said the owner had a proper business brain and worked hard! Interesting to know where the name came from! I think it's a great story! Thank you for commenting for the first time and of course reading for longer. Very much like your blog too, may have to link through to your recent post!